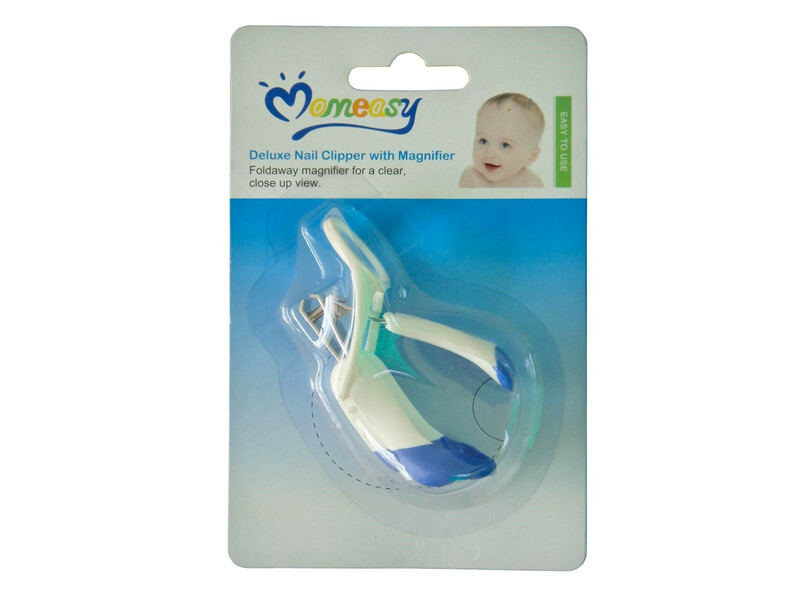 Momeasy Baby Nail Clippers . Your child's special nail litter is designed specifically for round feet for extra safety when you trim your child's fingernails in the hand and foot. Try to trim your child's nails while sleeping, to prevent him from resisting and moving. To clean: - Wipe with a soft, dry cloth. It can be sterilized by dipping the edge into the alcohol. Used for daily care of your baby's nails.